Edited by oldsu on 03/11/2013 at 20h14. 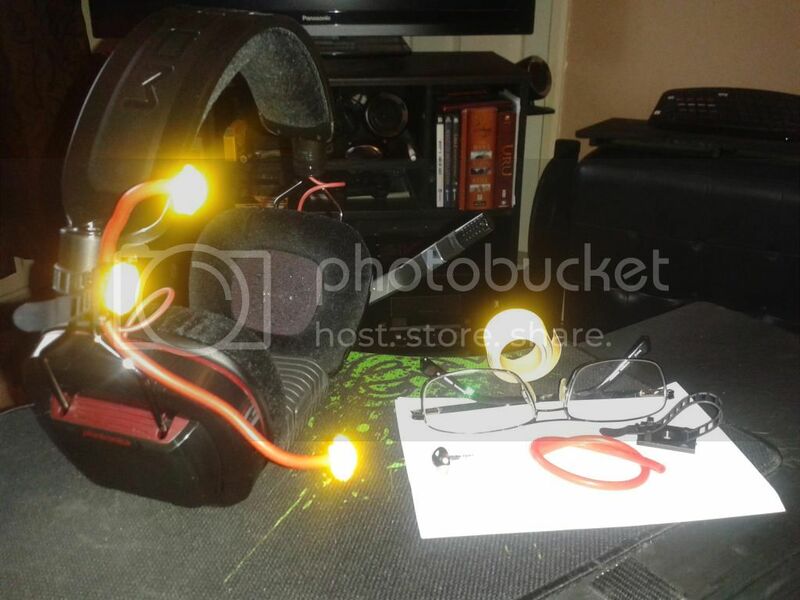 First one was made of a bottle screw cap and pen pipes with wires going through them to the leds on the tips. The source was an usb cable (that broke a lot of times). Later I did another one. Instead of pen pipes I used a hard wire, that helped connecting the leds, powered by a cellphone battery. It had too much weight, not comfortable to use, headset moving when I move. Made of laser cut 5mm transparent acrylic with circles covered with that reflexive ribbon used on uniforms, bags, etc. Webcam uses 3mm black acrylic, where I placed 10 IR leds powered by the 5V from the cam's usb cable. I used a switch to turn it on and off and a green led to indicate state, as human eye can't see the leds. Here in Brazil we call this "gambiarra"
I was fooling around thinking of building my own tracking system using the before mentioned methods. But because I only needed this for car simulation game, i.e. mainly X and Y axis, I gave a try to my led headlamp and Voila! it was working perfectly! First-one - supllied with OSRAM IR Leds with 160 Degrees was working quite fine like on attached movie. It was running very well. Than I had an request from my friend to build one for him. The problem was that these Osram leds are very hard to buy in my country so I have to order them from abroad. 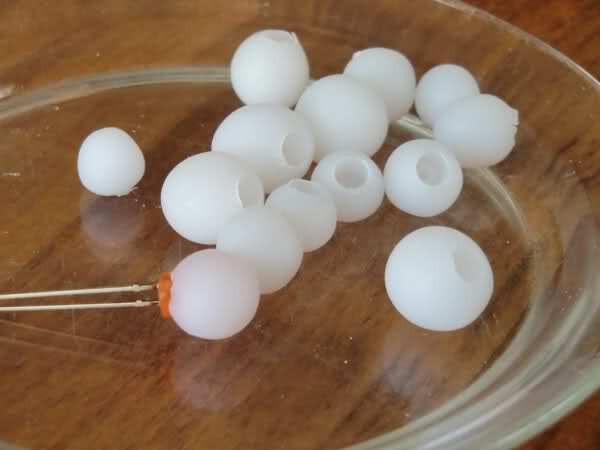 I have ordered a fimo clay and make the diffusers from half translucent white clay. Effect is amazing (with Osram Leds) angle is almost 360 degrees !!! It just shows that diffusors are solving all tracking issues and narrow IR Leds issues. If You have a problem with above issues try fimo clay diffusers !!!! I will post some pictures with the last build really soon. My freetrack device is finally finished and for sale now. I'm glad that you are enthousiast about the Fimo clay diffusors. I found a link to Your topic and I decided to try. They work great not only to extend an viewing angle but also to get rid of some light distortion and unwanted reflections. As promissed a long time ago; the pictures of my finished tracking device mounted on the headphones with a custom scheme paint. Works like charm. Logilink 30FPS cheap (around 9 EU) webcam, IR filter removed, IR-pass filter mounted (2 polarizing filters from 3D passive glasses, mounted in the right position to block all visible light), 640x480@30FPS. Edited by deggial2005 on 18/06/2014 at 11h23. Use 8 mm heatshrink, it will be 4 mm after heating. I finally made my own! 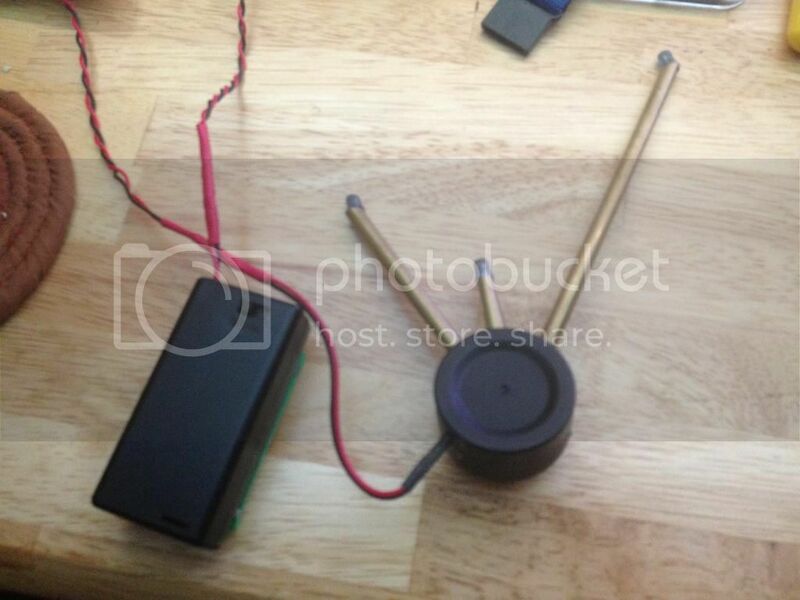 The emitter is built from brass tubing, a small plastic container, and IR leds from radioshack. It attaches to my headset with some velcro-like stuff. It's powered via the attached battery pack. 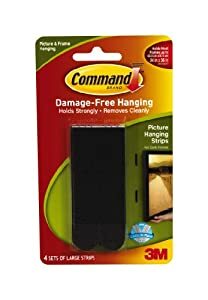 Originally it was attached on a short cable, and stuck on to my headphones with the velcro, but it was too heavy, so now it hangs around my neck on a lanyard. My 1st attempt at a reflective clip. Went the reflective route because I needed something more elegant and lightweight with minimum parts and wiring. Cost about £10 in parts off the internet and the use of an old pair of chipped lightweight rimless glasses, example in pic. The yellow high reflective tape worked better than expected using an A4Tech infrared cam as recommended at this webite, cost approx. £20. Accuracy and smoothness of movement again better than I'd expected using only a 3 point reflective model; with a reflective model though, you must be prepared to keep your surrounding room environment as dim as you can for it to work effectively. Edited by ernie_r on 12/10/2014 at 10h01.